zenith: Dr. Khajehpour, what is behind the current protests? Who are the protesters? Could you tell us more about their motives? Bijan Khajehpour: The protesters consist of various different, socially highly diverse groups. In my understanding, most but not all protesters come from an economically disadvantaged segment of society and are mostly from the provinces. In terms of their motives, they seem to be largely driven by a deep sense of injustice, by a perceived failure of the system as a whole to adequately address the economic needs of the people. Iran is a rich country with an increasing number of foreign investments pouring in after the ratification of the Joint Comprehensive Plan of Action (commonly known as Iran Nuclear Deal). But these developments are not translating into jobs, especially not in the provinces. Unemployment stands officially at around 12%. This number, however, only provides you with a limited picture. If we take a look at youth unemployment, the number is closer to 25%. If we include underemployment defined as the mismatch between someone´s job and the level of education, college graduates working as cab drivers for example, the number of young people in inadequate employment rises to roughly 40%. Even though the Iran Deal has not fulfilled all hopes in terms of boosting economic development, Iran is nonetheless experiencing steady and stable economic growth and a huge increase in foreign investment. Why are the people not profiting more from these developments? …Which largely function outside the free market and rely heavily on clientelism. In many cases, public contracts are not assigned in an accountable way but merely channeled through informal networks. Funds are usually allocated among friends and family members. However, to put it bluntly, the impact of such patronage networks is not simply restricted to semi-state actors, they affect all levels of Iran’s economy. Therefore, I think the underlying problem is of more general nature. The problem lies with the scope of economic mismanagement and inefficiency. A lot of funds flow into completely useless projects. Let me give an example, currently we have 13 provincial airports in Iran that are rarely ever operating. What the Iranian economy needs is more efficiency alongside more accountability and transparency. Pretty much all Iranians share one thing in common: They want the fate of Iran to be decided within Iran itself, not in any foreign capital. Some observers compare the current uprising in Iran to the Arab Spring, especially when it comes to demands for more civil rights and the possibility of regime change. Listening to you, the current protests are primarily driven by disenfranchised citizens in the provinces, a widespread sense of exclusion from state benefits, a waste of public funds through useless infrastructure projects and a lack of professional perspectives for the youth. So, consequently, do you think Iran’s current uprising is more akin to anti-austerity movements in Southern Europe than to the Arab Spring? There is one main difference between Iran and the Arab World. Iran already had a revolution in 1979. People are painfully aware of the fact that revolutions don’t necessarily work. Nobody wants another revolution. The people want change. They want reforms but they want them within the system. This is something often misinterpreted by analysts. So, which practical steps could the Rouhani administration take to tackle the issues you addressed? President Rouhani has already taken a few steps in that direction. Just before the protests started, the current government significantly increased transparency by disclosing a number of allocations in the annual budget for the first time. This step shed light on the huge amount of public spending certain religious actors receive. Something which could be only assumed before. In terms of accountability, the government has introduced measures of performance based budgeting to the current budget which are yet to be passed by the Majles (Iranian Parliament). Let me give an example for this: When public funds are allocated to infrastructure projects in the provinces now, the funds will only flow after previously agreed benchmarks are fulfilled. In the past, especially during the Ahmadinejad presidency (2005 - 2013), this was a very different story. A big chunk of public money for infrastructure projects simply disappeared after being channeled through patronage networks. There was no accountability. Now, however, whenever Tehran funds a bridge somewhere in the provinces, the local contractors need to provide proof that they actually built this bridge. I think another important aspect for the importance of accountability is the culture of shame in Iran. Semi-state actors, especially religious ones, are very receptive to that. It is easy to appear as a pious man of impeccable personal integrity as long as no one knows how much money you are actually making or how much of the public resources are being squandered by your organization. I have lost some optimism regarding the future of Iran. Economy-wise, the Rouhani administration has focused on making Iran more fit to the world markets by applying somewhat neoliberal policies aiming at a reduced inflation rate and increased productivity. Your emphasis on efficiency, transparency and accountability is roughly taking the same line. But looking at the current crisis, are such measures really addressing the issue? Evidence from around the globe suggests that highly educated urban elites tend to profit most from business opportunities created by globalization. Would the effects of such growth really tickle down to the economically disenfranchised in the provinces? Who are, as we discussed previously, the segment of society most prominently involved in the current protests? Let’s take a look at one of the core issues at stake, corruption. Something that is part of the daily lives of pretty much everyone in the country. An increase in public accountability and transparency will have a huge impact on everyone. Everyone is part of the same system, even citizens of remote, and less prosperous provinces such as Sistan and Baluchestan (an Eastern Iranian province close to the Afghan and Pakistani border). Isn’t that a very optimistic assessment? Quite the contrary, I have lost some optimism regarding the future of Iran. Put simply, I think there are two realistic scenarios for the future. 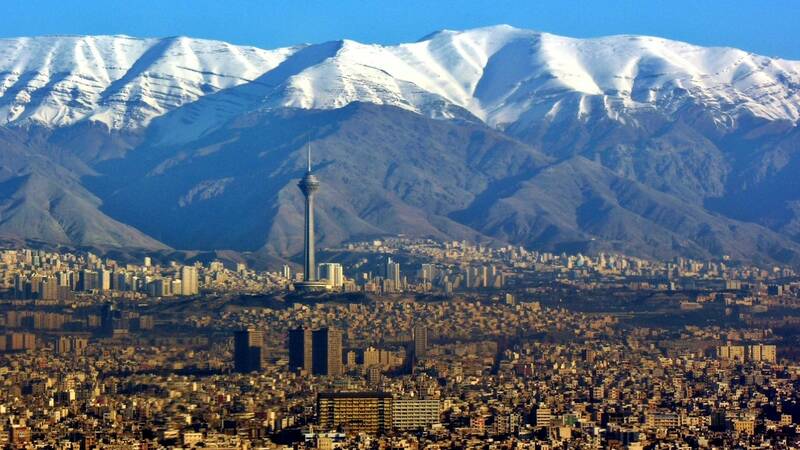 In Scenario A, Iran will become a little China with strong economic growth and undemocratic political structures. This is the more optimistic scenario. In Scenario B, Iran will resemble Russia with a closed, heavily clientelistic economy and a repressive political regime, possibly dominated by the Revolutionary Guards. However, in the current situation we should not underestimate the potential for reforms from inside the system. Regime survival is of utmost importance to all state actors. Hence, officials might be pressured into accepting social developments they would usually object to as long as regime stability is guaranteed. This is already happening now. Look at the recent relaxation of mandatory veiling for women in Tehran. Western pop concerts are suddenly permitted. Only two years ago, nobody thought this would be possible. The regime can be flexible, when it feels that is has to be. How should European policy makers react to the current situation in Iran? Pretty much all Iranians share one thing in common: They want the fate of Iran to be decided within Iran itself, not in any foreign capital. Therefore, my most vital advice would be to refrain from any sort of action that appears as if the EU wants to bring change to Iran. Such an approach would be highly counterproductive. I would suggest a subtle approach that emphasizes the importance of an inclusive political discourse in Iran. All voices inside Iran should be heard. Many Iranians don’t feel represented by the current political spectrum without generally wanting an end to the regime. I think, Europe should appreciate that and intellectually help Iran develop its own more inclusive political order. Bijan Khajehpour is an economist and managing partner of Atieh International, a Vienna based consultancy. He has advised numerous international corporations on their business ventures and is a regular commentator of Iranian affairs. His writings have appeared on The Guardian, Al-Jazeera, Bloomberg, and Al-Monitor among others. In the aftermath of the Green Movement in 2009, Khajehpour was arrested by the Iranian authorities for three months. His arrest was widely reported by international media.